My job is fun. I don’t mean that I have fun doing my job (although I do), but rather that I am in the business of fun. After a year of working at the Treehouse, I’ve helped hundreds of customers find the games they need at any given moment. It really is the best part of my job, but it’s far from easy. Thing is, and I’m sure this won’t be a surprise, there are so many games to choose from. Our library is edging its way towards 500 titles, a drop in the ocean compared with the astonishing number in existence (Board Game Geek recently passed the 100,000th game in its database), but more than enough to make deciding what to play a substantial challenge. When you’re so spoilt for choice, who is there to help you navigate the treacherous waters of indecision? Enter the courageous and handsome staff members of The Treehouse! One of our main jobs is recommending games for groups, and we’ve gotten really good at working out what kind of group is going to enjoy what kind of game. It’s part interrogation, part psychological puzzle, and part test of games knowledge. To begin with, we have a lot of old standbys. These are games that we feel confident recommending to a majority of groups, for a variety of purposes. We often recommend a quick game to start people off - Ghost Blitz, a real-time deduction game of grabbing, is a reliably silly time for most sizes of groups, and is both easy to understand and loosens people up. 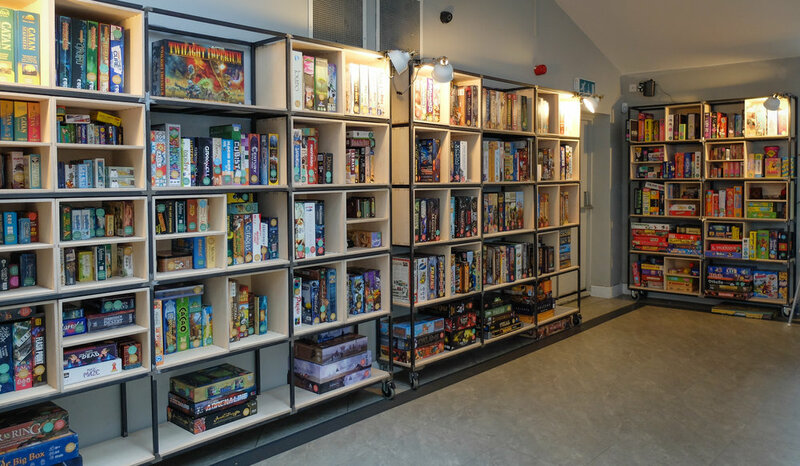 Most of our customers are from outside the gaming community and are understandably a little intimidated by the towering wall of cardboard and rule books that is our library, so games which offer a simple concept that people can’t help but get invested in are invaluable. Tsuro and Timeline fit similar niches, so we find ourselves recommending those a lot. Things get harder when it comes to the “main course” - the game that customers will spend the majority of their time playing. This depends a lot on the group - it’s not uncommon for customers to come to us sceptical about this whole board gaming thing (I’m with them, it’ll never catch on) so we try to gauge their mood and choose appropriately. A five-player group in the mood for something lightly strategic? Perhaps Colt Express, Escape From The Aliens In Outer Space, or Forbidden Desert. Two customers who look like they might be on a first date? Either something co-operative (Pandemic is always reliable) or hilariously aggressive (Azul), nothing in between. Established couples get either Sherlock Holmes: Consulting Detective or Fog of Love, if they have enough time. That’s another big factor - do they want to spend two hours on a single game on a night out? More often than not, the answer is no, so we usually shy away from the heaviest games. By far the easiest group to recommend for is big parties. Seven or eight is the magic number, because games like Deception: Murder in Hong Kong, Codenames, Spyfall, and (if they’re a little tipsy) Dead Last are guaranteed to draw players in . If anything I wish there were more party games at the lower player counts - something like Secrets is close, and works well at four players, but is often too complex. That’s not to say the group who are playing it couldn’t understand it, but that their interest might wane faster than understanding dawns. 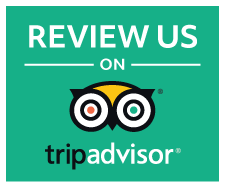 I always worry a little bit about patronising customers, but we’ve found that a lot of them genuinely want to be reassured, and if they’ve had a good time by the end then I think I’ve done my job okay. Of course, people do actually have to accept our advice for this to work out. Because this is the UK, it’s more common that we approach befuddled-looking customers at the shelves rather than them coming to us, and sometimes they’ll defer our offer, saying that they’re fine. That’s okay, of course, and it saves us a job, this scenario often ends with the group picking up Monopoly or Scrabble, and then not returning to the cafe because they haven’t gotten anything out of it they couldn’t get at home. That always makes me a little sad, but not as sad as when I’ve recommended and taught a game to see it returned to the shelves five minutes later in favour of Guess Who. Again, that’ll always happen sometimes, and we’re not always going to find the perfect game to engage everyone first time, but it always feels like a missed opportunity. Heavy gamers rest assured, the big games get their dues too. Last year we had a lot of groups come in specifically to play Scythe - they had read about it online and wanted to give it a try . I always try to recommend TIME Stories to groups of three or four, as it’s perfect for an environment where you can feel good about only playing it once. As the Shut Up & Sit Down review said, that’s a hard game to justify buying at full price, but with a board games cafe you don’t need to! I’m always trying to foist Alchemists onto groups who say they want something weighty, and they always start off looking intimidated by all the actions and are super intensely into it by the end. But those groups are few and far between, and we’re cautious to recommend complex games unless people specifically ask for them. The reason why goes back to the experience level of customers - if they’re going to be bored they aren’t going to come back. Yes, sometimes a group comes in knowing exactly what they want to play - we memorably had a stag party last week who spent nine hours playing Twilight Imperium - but this is a small minority of our customers. A larger number have had a go at Catan or Ticket to Ride, and they want to know what’s next. Others are being dragged along by a single enthusiastic colleague/family member, and they don’t know or care to know the first thing about board games. Many of you will have been that enthusiastic hobbyist trying to bring people into the cardboard fold, so a lot of these reactions will be familiar to you. I think that impulse to get people excited about board games is so common because it’s an inherently social activity - you need people to play with you, and the more the better - so it makes sense that evangelism is such a big part of the hobby. At work, I try to do it every day - take at least one person who walked into the cafe expecting chess and Monopoly, and send them away enthusing about Sagrada, Flick ‘em Up, or Sheriff of Nottingham. It doesn’t always happen, but when it does it’s like a switch has been flicked . First impressions are so important, and that’s why we spend so much time thinking about how to ease out customers into the hobby. The earlier comparison to libraries is appropriate, because the thing that make libraries great (especially in the modern age) is the staff. People who know their shelves like the back of their hands, and are always willing to help find what you want, even if you don’t know what you want. Yes, machines can do that too, but only to a certain extent. When I was younger I wanted to be a librarian (because of Matilda, obviously), and I seem to have stumbled toward that direction quite by accident. Which really begs the question, where’s my board-game-based telekinesis? Eh Dahl? Eh? ?